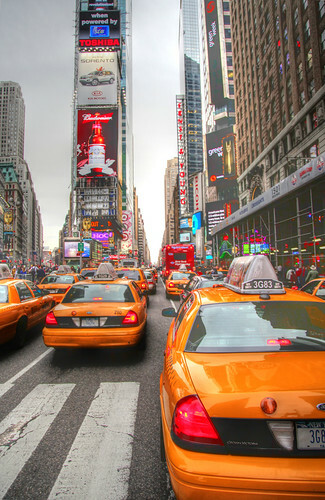 The startups are still busy adjusting their services to fit within the city’s set taxi rules, but New Yorkers may be more willing than ever to try the new services after yesterday’s taxi fare hike. It looks like the battle for New York’s taxi market is heating up, as a group of leading startups struggle with the city’s regulations — and with each other. Hailo currently has a base of 2,500 drivers. Uber only has 105 drivers. Photo by Vinoth Chandar. Two good reports out overnight run through the state of play as Uber, the Californian town car service beloved by San Francisco’s technocracy, prepares to hit New York with an app for yellow cab booking… [T]he company is heading for a straight-up clash with Hailo, the London-based taxi hailing service that is also preparing for its debut in New York.